Need to get your goods across the country? Bought something online but unable to go and pick it up? Well don’t worry! 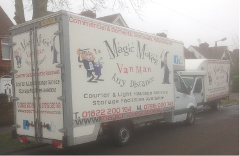 Magic Moves Ltd are here to help. All of our friendly team of experts are fully CRB checked so you can be rest assured that you and your goods are always in safe hands when you use our services. We have provided our services to a wide variety of customers from domestic clients to the NHS and local council! We deliver your goods across the country and you can feel safe in the knowledge that we will always treat your goods with the care and attention that they deserve to make sure that they arrive in perfect condition. – bit of a mouth full. We are a courier service that you can always rely on to always provide the best service available. We have managed to build up an excellent reputation for ourselves and we believe that this is due to the extra care and attention that we put into all of our journeys, as well as our fantastic value for money. We understand that relying on somebody else to transport your goods anywhere can be a very stressful experience, but you can rest assured that our team of expert drivers can always keep your items safe and secure until they reach their destination. 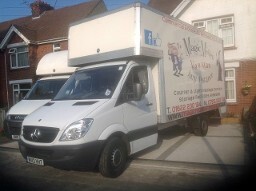 Here at Magic Moves Ltd, we know that every job is different and so a “one size fits all” approach is definitely not appropriate in our industry. We always individually tailor our services to be sure that we meet your needs and requirements to provide you with the best service that we can.